Product #1831 | SKU 449SP2 | 0.0 (no ratings yet) Thanks for your rating! The Retractable Rubber Spiked Feet for Select Monopods from Manfrotto are a set of 3 reversible feet designed for use with the 676B, 694, 3449, & 559B Monopods. The foot is constructed of a technopolymer base that attaches, via an included tool, to the bottom of your monopod's smallest section. Once attached, the base holds a reversible, corrosion-resistant aluminium spike which features a retractable rubber "cup" style foot. 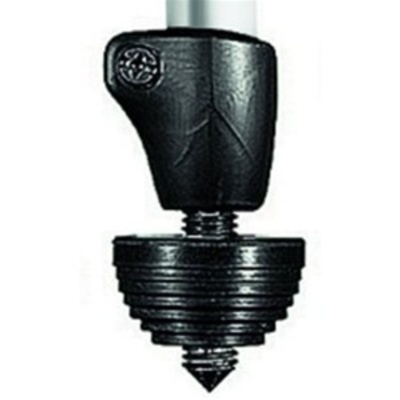 This dual design allows the user to quickly choose the spiked foot for dirt, sand, ice, and snow or the rubber foot for finished surfaces and use indoors.